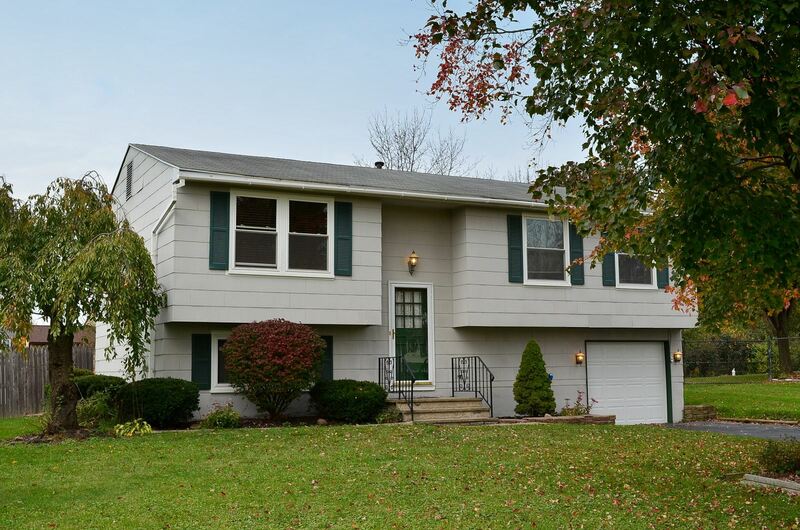 Liverpool, NY Neighborhood - This updated and spacious 3 bedroom home is located in the popular and desirable "Briarwood Trail" neighborhood, which is located within the Liverpool school district and close to shopping, parks, and major highways. Main Living Area Features - The main living area features a large living room, an updated eat-in kitchen with access to the deck and backyard, an updated full bath, and 3 good sized bedrooms. Lower Level Features - The lower level offers a family room with a fireplace and a bar, and a laundry room with a half bath. Exterior - The oversized fully fenced yard and one car garage complete this home.